Today we Road Barrier Professional Manufacturer come to summarize Secondary charging parking metering system. With the increasing demand in the parking market, it has also brought a broad space for the development of “Internet + parking”. It is necessary to promote the information and intelligence of the parking industry, actively build a city-level smart parking cloud platform, realize the comprehensive networking of parking information, and promote The development of parking and Internet convergence will improve the utilization efficiency of parking resources. Wiicontrol, focusing on the development of professional license plate recognition systems. With independent core algorithm and research and development strength, the easy parking billing system provides excellent solutions for parking difficulties. At the same time, the easy parking billing system can interact with third-party application platforms to provide data push and basic query functions. Access and management on third-party platforms. The third-party interface of the Wiicontrol billing system is an Internet-dependent service for online business users who do parking management. It can meet online parking space reservation, electronic payment, parking space sharing, cloud control offline parking lot to achieve remote lifting, display, voice playback, etc., for visitor system, hotel management system, security monitoring system, city level intelligent parking system, etc. Parking basic data (including license plate number, vehicle image, charge amount inquiry, parking information inquiry, parking space quantity inquiry, registration vehicle information, etc.). 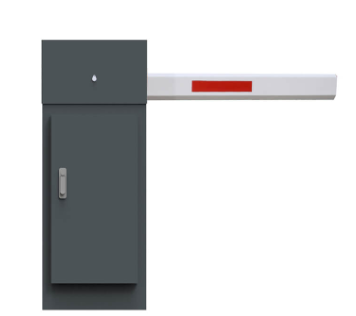 At the same time, Barrier Gate Manufacturer can be offered for you. Looking forward to receiving your inquiry park@wii-cloud.com.